Flooding causes damage to infrastructure and creates costs for businesses. BE PART OF THE SOLUTION. Get involved in Partners in Project Green, and collaborate with other organizations in the Pearson Eco-Business Zone on innovative stormwater infrastructure projects. 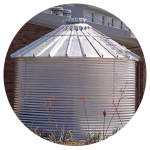 SKY TAP: Harvest and recycle rainwater for non-potable uses. Capture roof run-off and reduce the volume of stormwater entering the municipal system. Lower your utility bill by cutting unnecessary freshwater usage. 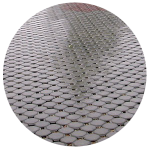 GREENING THE WAY: Replace traditional paved surfaces with permeable cover. Allow stormwater to infiltrate and help prevent pollutants from entering local waterways. Reduce maintenance costs and ensure that surfaces last longer. 4 BILLION LITRE PROJECT: Install a green roof. Capture rainwater and reduce storm run-off, easing stress on municipal infrastructure. Cut your heating and cooling costs and guarantee a longer useful life for your roof. Partners in Project Green offers unique resources and expertise. COLLABORATE with other leading businesses and institutions in the Pearson Eco-Business Zone on creative new approaches to water stewardship. 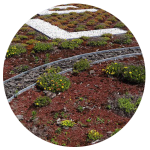 GAIN PROFILE AND RECOGNITION by promoting your stormwater infrastructure success stories to business and municipal leaders in the Partners in Project Green community.